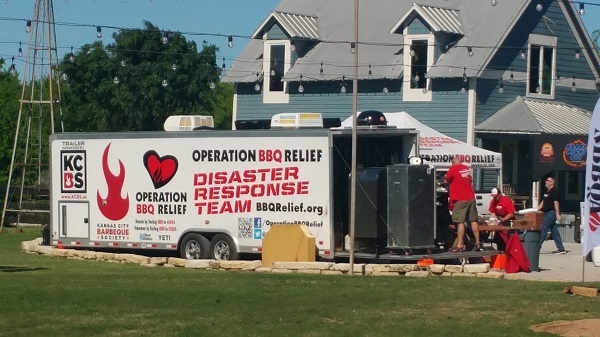 What do you get when you assemble 20 barbecue dream teams in a rare public tasting opportunity for BBQ lovers, foodies, and families? 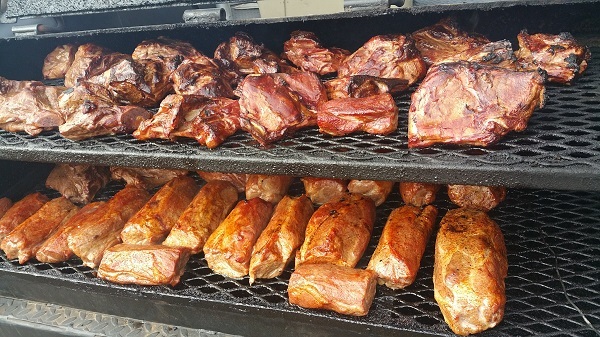 When will you get a chance to taste sirloin grilled by Big Moe Cason, Cheese Stuffed Pork Tenderloin by Tuffy Stone, Grilled Cinnamon Sugar Whole Pineapple by the Rockin’ Rodizio Brazilian churrascos crew, amped up barbecued pork tacos by Chris Lilly, and Porketa by Sweet Baby Rays? Well, several thousand lucky BBQ lovers, foodies, and families descended upon Billy Bob’s, the world’s biggest saloon, on Saturday April 1 from 11 am to 3 pm to enjoy its once-a-year public National BBQ Bash in Fort Worth, Texas, as part of the I-Am-BBQ2017 National Barbecue & Grilling Association (NBBQA) Annual Conference. The public met BBQ and grilling stars, sampled their food, and participated in a barbecue and sauce people’s choice competition. When the dust settled Duce Raymond (Sweet Baby Rays) won the sauce honors and Kent Black (Blacks BBQ Lockhart) won the barbecue honors with dinosaur beef ribs. About 50 competitors from the Steak Cookers Association (SCA) were also there for the steak championship which was won by Dan Judd. 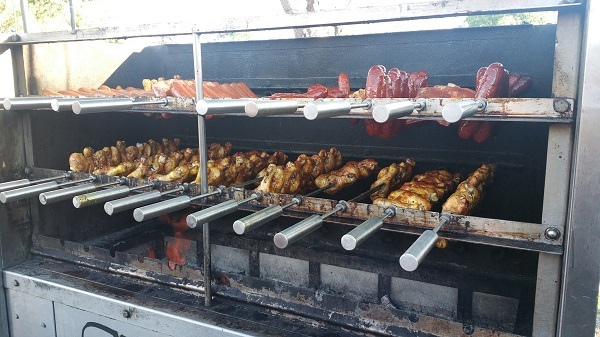 There was an international BBQ village featuring world barbecue by Brazilian, Australian, and Japanese teams. 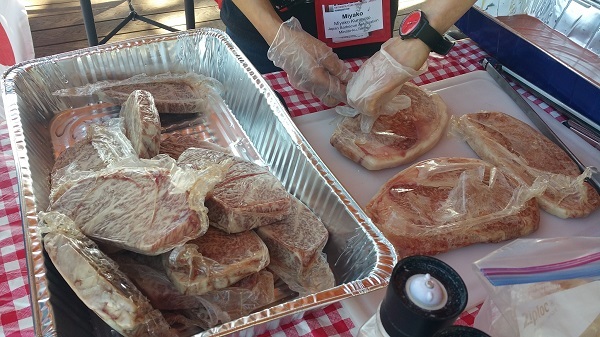 There were demonstrations of traditional cooking techniques such as roasting whole hogs, salsa making, and educational presentations and sampling by official partners and demo sponsors. 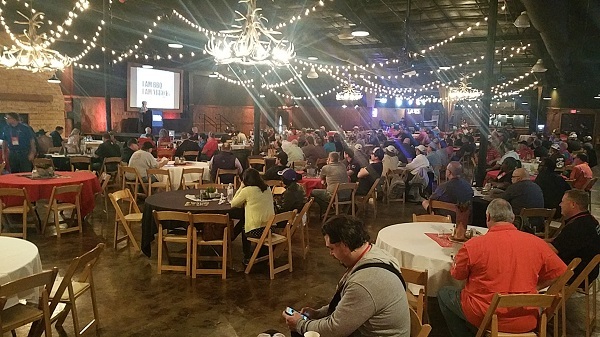 The Bash was preceded by two days of conference presentations and educational seminars at the nearby River Ranch Stockyards convention center. 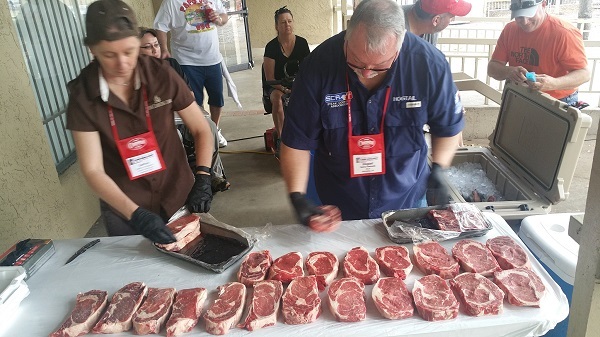 About 300 members of the NBBQA from around the country and the world were in attendance and numerous lucky conference attendees were drawn by lottery to cook on one of the Dream Teams. The conference opened on March 29 with a keynote address by Wyatt McSpadden, a photographer for Texas Monthly whose spectacular montage of pictures provided a moving chronical of barbecue evolution in Texas. There were indoor sessions on catering, finance, social media, growth strategies, and branding. 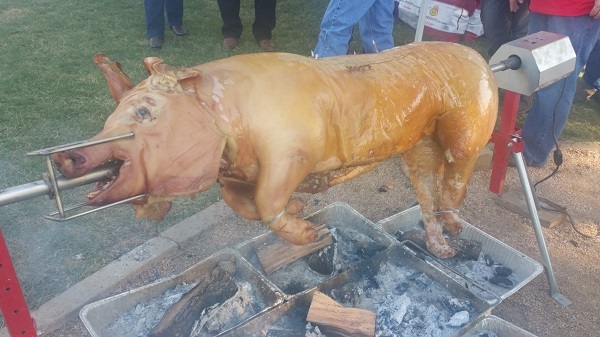 There were outdoor sessions on whole hog prep and tasting, Hormel butchering sessions, salsa and sauce making. Speakers include Meathead from AmazingRIbs.com, Duce Raymond from Sweet Baby Rays Catering, Kent Black from Blacks BBQ, Chef Charlie Torgerson, Will Cleaver from Operation BBQ Relief, Jim Murray from the Pork Board, and others. One of the main highlights was the Wagyu seminar by the Japanese Shogun team where attendees were briefed on the husbandry of the Wagyu cattle and then give a rare opportunity to taste A5 grade beef flown in from Japan. The Brazilian team wowed with their spectacular pyrotechnic fire display and captivating churrascos grilled meats cooking show. Special Interest Groups (SIGs) were also convened at the conference to that like-industry and interest groups could sit together in highly focused discussions to network and learn in peer-to-peer exchanges. 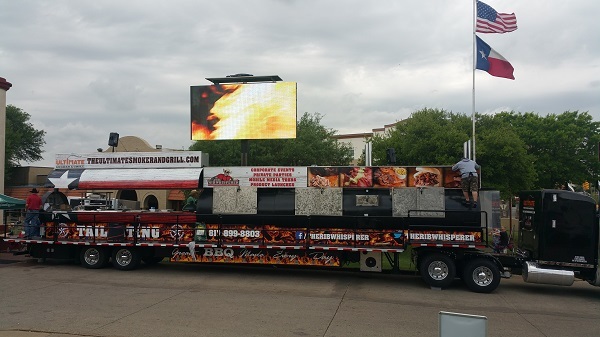 The SIGs covered BBQ and Grilling, Food Trucks, BBQ Start Ups, Restaurant & Catering, Competition BBQ, Product & Suppliers, BBQ Media, and Event and Festival Organizers. 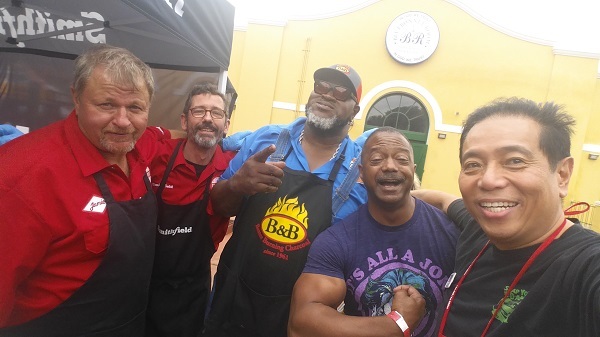 The three-and-a-half day barbecue and grilling extravaganza that began with a barbecue restaurant crawl on Wednesday concluded on Saturday afternoon on the main outdoor stage. There was a big thank you to the sponsors and a transition of past President Linda Orrison (Mama Shed BBQ) to the incoming 2017-2019 President Mark Lambert (Sweet Swine o Mine). 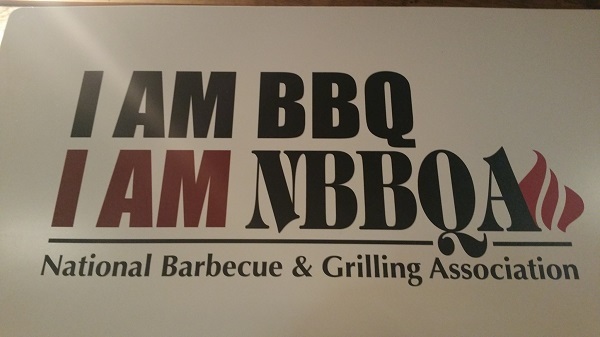 The NBBQA reached new heights in 2017 and the future is even brighter with the new Board focused on strategic direction to be inclusive for all those in the business of barbecue and grilling. 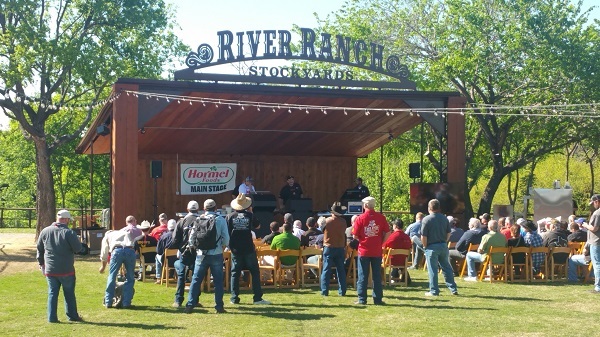 The NBBQA will be back in Fort Worth in 2018, same time, same place, so block your calendar for another awesome event that will be even bigger next year. World’s Biggest Pit . . . only in Texas!